The hotel pool scene. All photos courtesy of The Restoration. 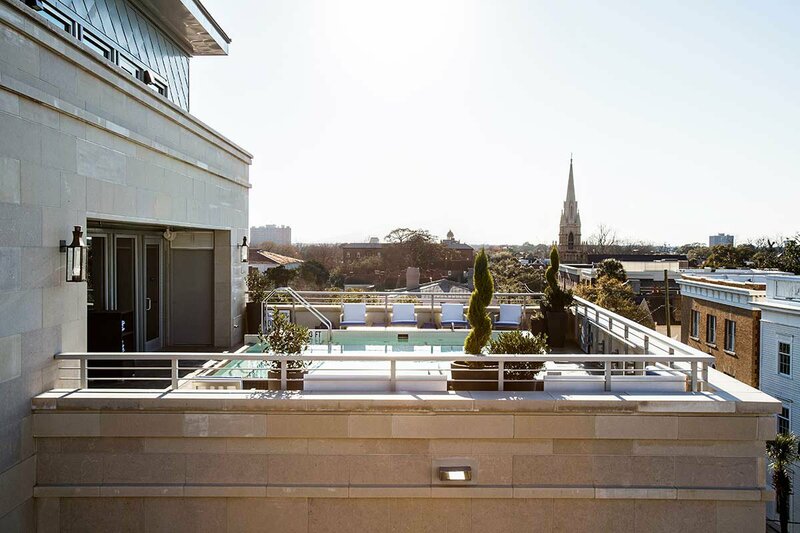 For your next culinary adventure, book a room at a newly refurbished Charleston hotel with its own cool rooftop bar, bustling coffee shop, and excellent restaurant. Originally opened in 2010 and now emerging from a full renovation, is claiming its place as the most in-demand spot to stay in downtown Charleston. Conveniently located right off King Street, in the heart of the shopping district, the hotel has become something of a hub for the city's cool crowd, who flock to the popular rooftop bar and restaurant, well-curated boutique, and rad coffee shop. 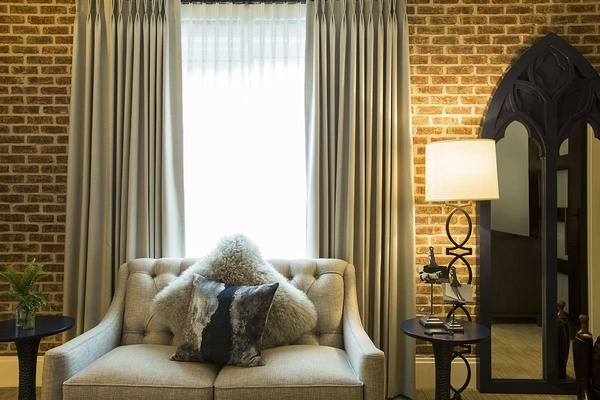 Expect nothing less than a sophisticated urban boutique hotel with Southern charm. The décor is elegant and modern, but with a pleasantly lived-in feel. In other words, you won't get a disapproving glare from the staff for pulling a few of the well-curated Assouline tomes off the library shelf and settling in on the sofa to read. In fact, you're encouraged to do just that. The Restoration is all about getting down with its South Carolina roots. The hotel itself is built into a series of historic buildings, while the sleek public spaces offer décor that nods to the city's roots (such as blue accents to recall Charleston's history as a center for indigo dyeing). The boutique offers a number of locally produced wares. The hotel hosts a rotating artist residency program too. The inaugural artist? Local photographer , who filled the property with gorgeous shots of quintessential South Carolina scenes. On the ground floor, you'll find a beautifully designed library filled with Assouline books available for purchase or borrow and an honor bar, should the need for a cocktail strike. Right outside the library, there's a fleet of Martone bikes available to guests who wish to ride around town. There's the Port Mercantile shop where you can buy anything from locally crafted candles to chic designer jewelry. 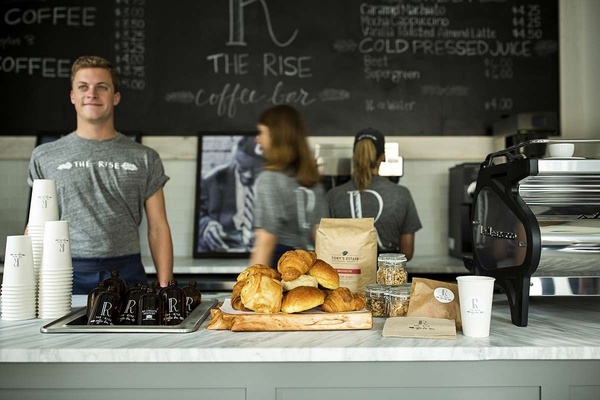 And next to that, Rise coffee bar, where they brew cult favorite Toby's Estate coffee for your morning caffeine fix. Plus, there's the lovely Amethyst Spa (try the deep-tissue massage!) and nail bar. On the upper floors, there's a small pool and the popular rooftop bar and restaurant called . A perch in the hotel suite. Charleston is a city that cares deeply about its food (and has a ridiculously good restaurant scene). So, it's a testament to the quality of the hotel's restaurant, The Watch, that it is consistently packed with locals every night. Some personal menu favorites include southern comfort specialties like bacon deviled eggs, hushpuppies, and shrimp and grits, though there are plenty of lighter options, like farm-fresh salads and veggie-friendly falafel. The margaritas are also excellent. The Watch only serves lunch and dinner at the moment, so breakfast is delivered to guests each morning in a cute picnic basket. You choose from a list of pastries, coffees, teas and juices the night before and receive an array of goodies from granola and yogurt to fresh-baked pain au chocolat to your door in the hour of your choosing. The 54 suite-style rooms are all incredibly spacious (in fact, I feel confident that the room I stayed in was larger than my first New York City apartment). All rooms, from the smaller studio suites to the palatial three-bedroom Residential Rooftop Suite, have kitchenettes or full kitchens, separate living areas, and super cozy oversize beds. The minibar offers a funky array of small-batch products from tasty granola to hangover curing Fire Cider (which I absolutely partook of after a few nights of overindulgence). The products in the bathroom are from Beekman 1802 and the bathrobes are very soft (this is very important to me). Pretty much everyone from business travelers to bachelorettes would be happy here. Families would like it too. The location is perfect for people who want easy access to upper King's nightlife scene, but far enough removed so that you can get a peaceful night's sleep. The only people I can imagine not being happy here are those who crave the amenities of a mega-hotel. There's no room service and no sprawling breakfast buffet spread. The evening scene. Photo courtesy of The Grocery. An afternoon spread. Photo courtesy of The Darling Oyster Bar. One of the great things about Charleston is that most of its destinations are within walking distance of King Street (or biking distance at least). During the day, wander the cute boutiques on the blocks surrounding The Restoration. A few favorites included the cool , stocked with a unique selection of modern designers (from brands like Theory and Stella McCartney) and the vibrant jewel box of a boutique , where owner Susan Hull Walker sells gorgeous clothing and accessories made by various women's cooperatives and female designers from around the globe (go here for pretty Indian textiles or bright African bangles). Charleston itself is beautiful, and one of my favorite things to do is to get lost in the tangle of residential streets in downtown. However, the city is equally lovely when seen from the water. A fun daytime activity is to hire a sailboat from and let Captain Dustin sail you around the historic harbor. Before you hop on board, pick up a few bottles of wine and some snacks from the (also, sunscreen!). And then, inevitably, you'll find yourself wanting to eat. 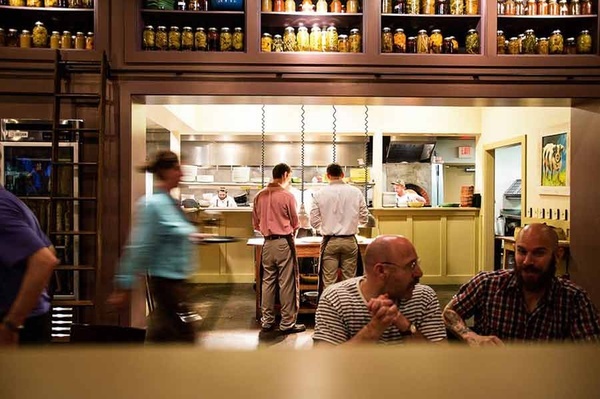 You'll go crazy trying to fit all of Charleston's amazing dining into a single trip (I tried. And failed). A few must-hit highlights include for upscale seafood, for tasty brunch, for milk shakes and tater tots (! 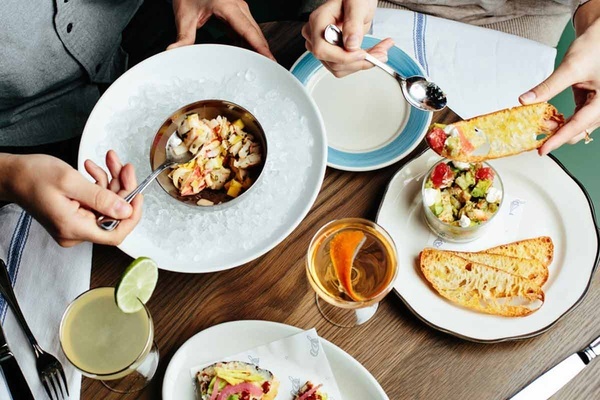 ), for inventive Southern cuisine in a pretty space, for cocktails and a major raw bar situation and for modern Asian comfort food (and a break from all that southern cooking). The Restoration's incredible concierge and I were at odds on the city's best ice cream spot. I'm a devotee (brown butter almond brittle and salted caramel forever), while he swears by . Try both and decide for yourself! Charleston International Airport is a twenty-minute drive from the hotel. Walk when you can (you never know what gems you'll stumble across while wandering the city), but know that Ubers and taxis are easily available. It's not necessary to rent a car unless you're hoping to venture further afield. A studio suite room starts at $299 per night. .